THIS is the terrifying moment a furious crocodile chows down on a trainer's arm in front of dozens of horrified spectators at a show. The gory spectacle unfolded in the Phokkathara zoo in Chiang Rai, northern Thailand, yesterday after the croc apparently had enough of being teased. Video filmed by an onlooker shows the reptile handler performing a stunt which involved reaching inside the creature's jaws. As he began pushing deeper down the croc's throat he looked at the audience before telling the announcer to stop the music. 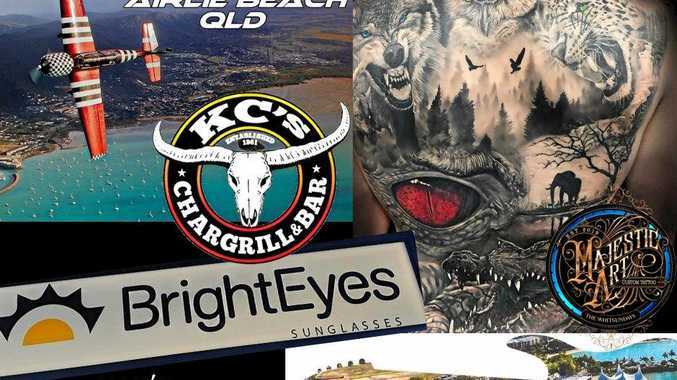 But the reptile struck back - suddenly chomping down and clamping its teeth into the man's forearm before shaking him violently from side-to-side. The performer was heard letting out an agonising howl before freeing himself and staggering away with blood dripping on the wet tiles. 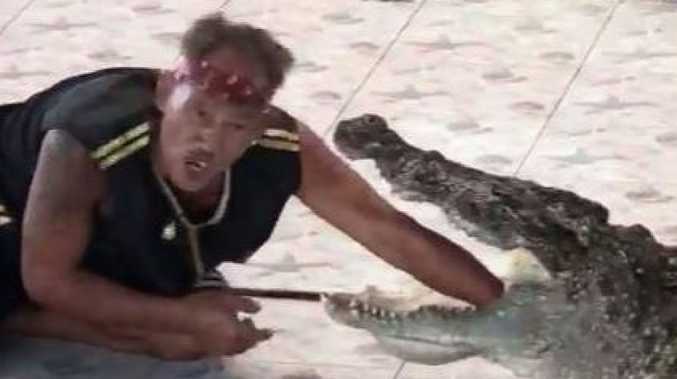 The owner of the crocodile park, Dong Wittawat, said today the trainer who had been bitten was treated at the farm with bandaging to his arm. Dong Wittawat said: "The performer is fine. His name is Tao and he is 45. "He was treated at the farm with bandaging. He loves crocodiles and he will be working again soon in the next two weeks. It is very rare for this to happen."